The best diesel fuel additives help diesel-run vehicles last longer with fewer problems. These ten best additives have been rated the top brands by experts and diesel fuel product reviewers. If you're looking for a multi-function diesel fuel additive, you can't go wrong with Stanadyne Performance Formula. Ranked the number one diesel fuel additive in 2018 by the Oil and Water Project, this comprehensive product deals with many types of problems with diesel fuels. 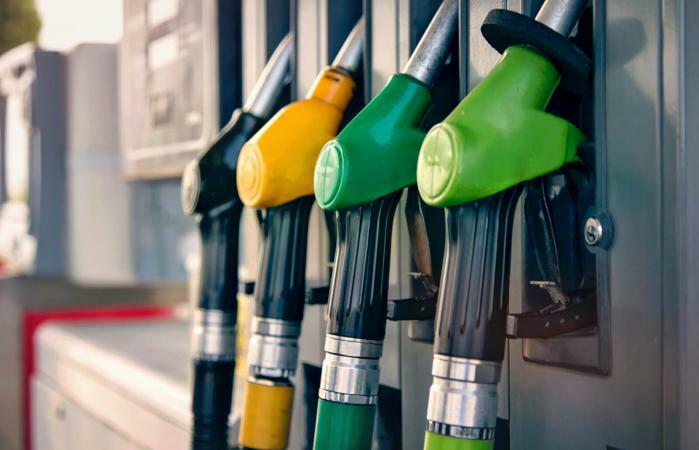 It stands out among other products as one of the best diesel fuel additives because it has been demonstrated to perform better than other additives in a variety of independent tests. Stanadyne Performance Formula is made by a company that manufactures fuel injectors, and it has earned the approval of a number of original equipment manufacturers including General Motors, Ford, and John Deere. Rainy Adventures names this additive as the best diesel fuel additive in 2018. The Motor Guy names it number two best overall. In either case, Lucas 10013 Fuel Treatment is an excellent solvent-free additive that can be used on both diesel and gasoline engines. It's an effective product for boosting power, increasing gas mileage, and reducing the emissions of exhaust. It also has the capability of neutralizing the harmful effects low-sulfur diesel can have on vehicle components. Ranked as the best diesel fuel additive on the 2018 market by Test Facts, Power Service Diesel Fuel Supplement Plus Cetane Boost is one of the most powerful anti-gel additives available. It makes cold starts easier on diesel engines and helps them run more smoothly. The product also includes detergents to help keep fuel injectors clean, resulting in reduced fuel consumption and extra power. Fuel Injection Cleaner names Liqui Moly as the top diesel fuel additive in its 2018 rankings. Besides just being a high quality product, Liqui Moly is liked for how well it works in complex diesel engines. It is especially popular with BMW, Audi, and Volkswagen, though it works great in any diesel-powered car, old or new. Rev-X was honored as one of the top three products of 2018 by Best Floor Jack's Ultimate Review Guide for diesel fuel additives. It does a superb job cleaning injection systems and the engine pump nozzles over time. Consumers especially like how much use they get for their money. One bottle of Rev-X treats 400 gallons of oil. Outdoor Choose named Killem Biocide as its top choice in additives for 2018. Besides cleaning the fuel tank and getting rid of odors, Killem is designed to stop fungi and bacteria growths in the tank during the cleaning process. In addition, it is a water soluble product making it easier on the environment. In April 2018, the diligent product testers at Thoroughly Reviewed spent six days testing 15 different diesel fuel additives. They deemed Diesel Kleen + Cetane Boost to be the best additive on the market. It cleans the engine and lubricates its components with excellent quality like the other products on this list, but it has a special feature: it boosts an engine's cetane to almost six times its normal amount, which gives you smoother operation and fewer problems with engine power. Diesel Kleen also boosts fuel economy by 8 percent. The diesel fuel additive called Sta-Bil earned the number two spot on Thoroughly Reviewed's list of the best 2018 additives. It works with biodiesel and ultra low sulfur diesel fuels, and it helps your engine have less oxidation from thermal breakdown and prevents sludge and sediment build-up. It treats up to 320 gallons of fuel. That's not as much as Rev-X, but still quite good. Oil and Water Project ranks Red Line 85 Plus among the top four additives of 2018. What makes Red Line stand out from other diesel fuel cleaners is its close adherence to environment-friendly standards. It's been formulated to satisfy EPA standards, and it does a great job reducing smoke. Besides providing general cleaning and protection, it's designed to prevent rust. The product testing gauntlet of Thoroughly Reviewed gave Hot Shot's its third spot on its top diesel fuel additives for 2018. Hot Shot's was recognized especially as a great product for the money you pay. Sure, it only treats 75 gallons of oil, but it gives your engine thorough cleaning and protection for a low price. The product testers also noted its ability to boost gas mileage.